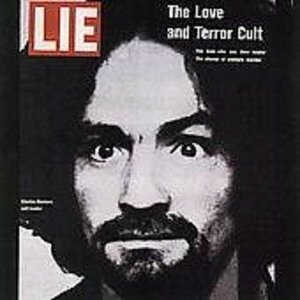 Well, I hear you say, “this only goes to show that a tormented soul not a good singer songwriter maketh!” Apparently, Charles Manson was well aware of this, as he gained more notoriety as a motivational speaker. He even diversified into religion, where he became more of a guru than he thought he could become in folk rock. So what does it sound like? The production style is somewhat primitive, putting it firmly in indie territory. Instrumentation is simple: acoustic guitar, some light percussion and some female backing vocals. Some songs seem unfinished: “Garbage Dump” for example seems stuck in the “Scrambled eggs” phase of The Beatles’ “Yesterday”: he’s toying with some ideas but chooses not to follow his muse, leaving the song in demo stage. “Look At Your Game Girl”, however, is a pretty nice song, that could have fit on Self Portrait by Dylan (or the corresponding Bootleg Series Vol. 10). On some tracks he tries to emulate Captain Beefheart. On others he sounds somewhat like Tyrannosaurus Rex (the early acoustic outfit, consisting of Marc Bolan and Peregrine Took). “I Once Knew A Man” sounds suspiciously like the beginning of “Woman and Man” by Ween. Also, if you allow for his somewhat snarling voice, there is some Nick Drake deep inside, as interpreted by Roger Waters or Lou Reed. “Cease To Exist” was covered by the Beach Boys around the time, almost unrecognizable so, with a different title (“Never Learn Not To Love”, a line that’s included in “Cease To Exist”’s lyrics). This might have been his big break through, but unfortunately the Beach Boys at the time were quite irrelevant. On the whole I’d say this is certainly not extremely bad: it’s shows promise and is possibly one of his greatest accomplishments. It is my opinion that he should have pursued this direction some more. Unfortunately, he chose to focus on his other talents. 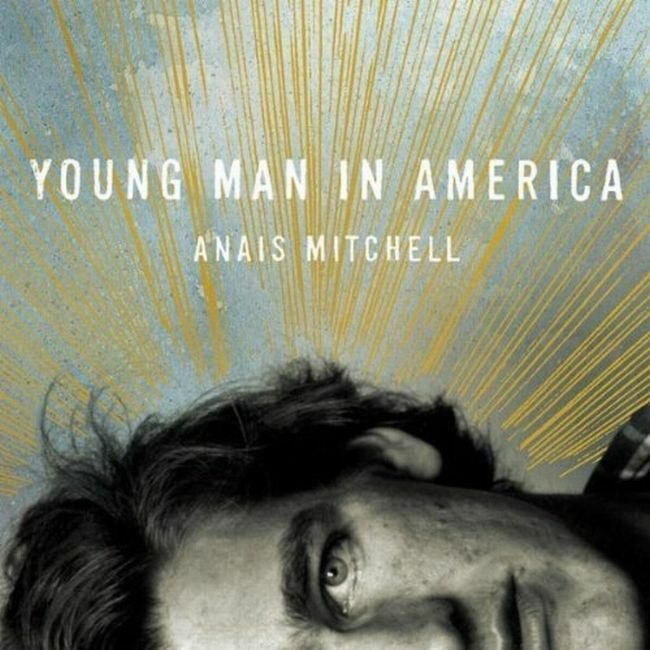 Anais Mitchell is a modern folkie, in the same ilk as Bon Iver, and from the cover it’s clear what you’re getting into: the travels and travails of the Americana experience. The opening song sets the mood, with a lot of sparse guitar chords, screeching vioin, and oohs and aahs. Dorothy, we have found ourselves back in Kansas. The second title track highlights the grievances I have with this record. The instrumentation is professional, the production clear and pristine, the backing vocals soulful and atmospheric. But Miss Mitchell’s voice could not be more twee and precious, as though she is purposefully emulating the intonations of a twelve year old valley girl from southern California. It was one of those things I could just not move past, save for when she briefly stopped singing, and it hampered my enjoyment of the rest of the record. Something about the overly earnest and cherry sweet delivery made me wince whenever her voice squeaked into my ear canal. Which is a damn shame, because everything about it is easy to like. The second track begins as a simple folk ballad, before morphing into this New Orleans jazz-style tale of a young girl’s journey to adolescence. It’s both simultaneously moving and annoying to listen to. It does finish with a little bit of flourishing flute work, so that creates a nice high note at the end. Third song, “Coming Down,” has a lot of teary eyed emotion to it, with Mitchell singing about the time she got very high and laughed so loud. I’m not sure what the message behind the song is, but it’s very pleasant with the breezy backing harmonies and crisp playing. It gets better on “Dyin Day,” a country/bluegrass piece with a slightly more energetic feel. I’m no longer dozing off but tapping my feet to the steady beat and groovy mandolin solo. Miss Mitchell seems to know the way to my roots rock heart. “Venus” is a pleasant little number about the singer discovering her womanhood and meeting the Roman goddess Venus. A nice electric guitar shuffle melds with jovial accordion solo, which really tickles my earbuds. How can one not feel happy when listening to such optimism? The rest of the songs do sort of blend together after a while in this pudding of syrupy folksiness. The lyrics do begin to travel bit heavily into biblical, country-bumpkin, John Steinbeck-ish territory, as Mitchell wails about how her daddy “was a builder who swung his hammer brown and silver” or “how she sowed a party dress with a needle and thread.” It’s almost like she’s trying her darnest to convince me how pragmatic and salt of the earth she is. Because she’s from rural Vermont you see. The track “Tailor” has a fair bit of annoying, and dare I say ostentatious lyrical utterings, where she repeats some seemingly innocuous phrases over and over, such as “In and out, In and out, In and out,” or “Who am I? Who am I? Who am I?” I don’t know Anais, I wish you’d get to the point and tell me though. Apparently the album was designed to tell a story that relates to the recession of ’08, and Miss Mitchell seems to anoint herself as the voice for the zeitgeist of modern America’s alienated youth. But her themes never seem to expand beyond the superficial side of longing for love and motherhood, and her overall style is slightly too drippy to carry any weight; the track “Shepherd” sounds like something I’d hear on a commercial for Johnson’s baby powder. Supposedly it’s based on a short story her father, a college professor and former novelist, wrote, which I appreciate for its honesty, but the self-indulgent audacity of it is rather cringe worthy too. Miss Mitchell, I understand you come from a long line of distinguished bards, but your poetry need some more bite for it to catch my interest. “You Are Forgiven,” the second to last track, is slightly more rocking. Which means that the acoustic guitar is strummed a bit faster and we finally have some drums. There’s even a nice trumpet solo that adds some spice, but by now it’s too late to enlarge the horizons of this record beyond the obvious. It’s clear this was designed as one of those albums you listen to intently on a sultry evening, but there are billions of these homely folk albums that I would be willing to recommend in its place. It’s slightly less labored than your average Red House Painter’s record, but not as atmospheric as The Cowboy Junkies. It’s somewhere on the scale between enjoyable and pleasantly mediocre. There are certain albums that require few listens. Generally when an album is manufactured for mass consumption, one listen is enough. There’s the pop hook, do I enjoy it? repeat for twelve songs. The more good hooks, the better the album is, post grade accordingly. Then, there are albums that just DEMAND you listen to them over and over again, and this is one of those albums. On first listen this album, is shrouded by a thick fog of pretentious melancholy. Any and all messages besides, “I’m a serious artist and I’m depressed” are just blocked out. After the first listen I dreaded coming back to the sad slow art album, but I continued. The more I listened to it, the more it unraveled and I felt I could maybe pierce through it and finally grasp something. What little I’ve grasped feels a melancholy singer songwriter album with a bit of avant garde jazz thrown in. Essentially, a mixture of Nick Drake and star sailor era Tim Buckley. Now I enjoy Nick Drake, but can understand the criticism that he’s not exactly an excellent song writer, that he is too focused on mood instead of melody. 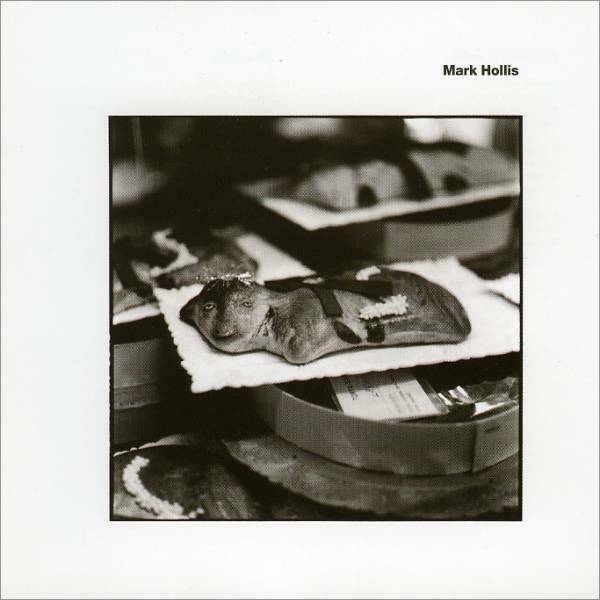 Compared to Mark Hollis, he’s a god damned Paul McCartney. These songs are just all mood and that mood is sad, sad, sad. It really is a one note album and even the tiny bits of cacophonous jazz scronking is muffled and never really shakes off the strummed sad artist vibe. With that said, I’m about 12 listens in and yet, every listen I feel like there is something more to it. This nagging feeling that this might be some secret masterpiece of super serious sad songwriter albums, Perhaps, I haven’t truly pierced the shroud of pretentious art, and have instead just become entranced with its mystery. Perhaps, by the 25th listen this album will usurp Love’s Forever Changes as my favorite sad arty records. Though somehow I doubt it. I just can’t see myself coming back to these moody dirges for enjoyment. I’m a musical simpleton in that regard. I need some catchy melodies with my grand statements. So I feel my mind will forever waffle between secret depression masterpiece and too pretentious for its own good art record. Perhaps, your mind is better equipped for such an activity, but for me, I’m just going to shuffle this record away to the land of well crafted albums that I don’t ever want to listen to again. My knowledge of Latin rock is limited at best, generally restricted to a few choice names that were popular in the 80s-90s. So it’s no surprise that I had never heard of the Argentine New Wave band Virus. Quick research in their origins showed that they combined new wave sensibilities (synths) with Latin pop, and were most successful in their execution. So much like their contemporaries Soda Stereo, they were an important aspect in the evolution of Argentine rock music. Because the language is Spanish, my understanding was restricted to the feel and atmosphere of the music, and each track on this album has a very romantic and danceable theme to it. It’s very much a mid 80s sort of production, and from the opening track I felt myself transported to a South American club surrounded by scantily clad women and piles of cocaine…. Okay, a slight exaggeration, but it’s very much music of its time and era. But in a way, the music feels very timeless as well. Each track has a unique hook that catches one’s attention, whether it’s some quirky keyboard chords (like the opening to “Pecados Para Dos”) or a driving drum beat with subdued guitar (“Destino Circular”). Because each track has that distinctive New Wave methodology of being slightly off beat, it reminds one of an Argentine version of Talking Heads or The Cars. Always bouncy, upbeat, and interesting. Of course there are slower, more introspective numbers like “Dicha Feliz”, which has layers of soothing electronics and a Pink Floyd-esque synthesizer solo. The bass is hypnotic, the drumming steady and yet punchy, and the lead singer does a fabulous job of keeping his voice silky smooth, and yet still has some character when he sings. He doesn’t just sound like an emotionless disco robot like so much popular Muzak of the era. “Mi Puedo Programar” has a David Byrne feel to it, another track highlight. However, it is the ending song that I feel has the most poignancy. Because I have the Spanish-speaking level of a three year old, I have no idea what the song itself is about. But damn if the singer doesn’t have a lot of emotional conviction and resonance in his voice. “Imaganes Paganas” is a lyrical, almost haunting number with enigmatic dabbles of electric/acoustic guitar decoration and more synth, that covers the audio like so much sonic wallpaper. It’s a charming end to a classy album. In short, I couldn’t recommend this enough to fans of New Wave and Latin rock. I may have to listen to this further with my dad, who is also a big fan of Soda Stereo and other Argentine bands. Thanks Charly! God knows (and probably my neighbours, when I swear from my window during their “patio parties”) that I’m not really into Latin melodic pop. There’s a fine line between that and the total disaster of radio-friendly artists which I won’t even mention. In that sense, this record has been a challenge. Fortunately there’s quite good taste and musicianship here (a great guitar work, in fact). So what’s not to like? Well the forced latin-vibe and some extra cheese melodic attempts like “Gordito Tracks” or “Milagro de Amor”, or “Asi Es La Vida” (or “Amores prohibidos”) don’t work for me. On the other hand there’s stuff which is very good pop, like “De la noche a la mañana”, a perfect song, with Bunbury vocals and the right amount of romanticism, full of hooks and classic tones. Or “Vamos” which screams Los Heroes del Silencio to me as well (and that is always good of course). “Sin Pedir Cuentas” is more rocking, and has a nice break in the middle. 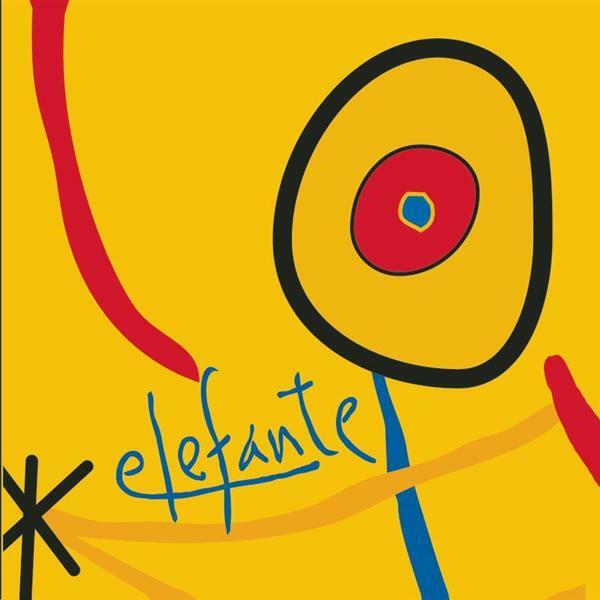 Of all the romantic stuff, maybe “La Que Se Fue” is the one that stands out, to my personal concern I can’t help but fall for it, it’s some kind of cheese that you can’t avoid and the guitars and keyboards are really tasty, once more. In summary a record that is not offending to my ears which is much to say, considering it’s on the border: I’d happily listen to this on the radio instead of that crappy Arjona guy. Geez I promised I wouldn’t mention him. Well, promises are not made to keep. My first impressions of this album were along the lines of “Dear Lord! What is this horrendous cacophony? !” You see, I have an aversion to generally all things black or thrash metal. My impression of those genres is something involving endless, repetitive guitar riffs, tinker tonker / whizz bang drum solos, bass work that shakes the very foundations of buildings, and a sweaty long haired man doing his best to make his voice go hoarse. But off this album, only the latter is really present in any magnitude. The record starts off as one would expect, with a track titled “Mountain of Horror”. From the cover, it’s apparent that the subject matter involves some degree of satanic witchcraft and masonry, and what little I could make of the growled lyrics certainly pertains to this idea. However, I had an inkling that this Greek outfit didn’t take themselves too seriously, as there is a slight tongue in cheek inflection to some of it, as though they are purposefully going over the top (or at least I hope). I’d be inclined to believe progressive death metal and Devilry have gone hand in hand long enough that any more releases are to be treated flippantly/ironically by the artist. While the subject matter is about what I expected, it’s the music and production that surprised me the most. There is enough variety added in the form of keyboards (mostly organ or mellotron) that is atypical of most modern rock/metal, but is probably the norm for progressive style. It gives the music a nice layered effect, and each track likes to change things up with some added acoustic guitar codas or tasteful solos. And when the singer isn’t doing his best impression of a werewolf, he turns out to possess a pretty melodic and pleasing voice. The closest comparison I could make would be if you combined King Crimson, Van Der Graaf Generator and Cannibal Corse. It’s the band’s willingness to incorporate classic Prog aesthetics that makes the album most enjoyable. One of the longer tracks, “When All is Black”, begins heavily enough, before morphing halfway through into an almost folksy metal ballad that brings to mind early 70s Genesis, with lyrical ideas that also ring of The Stones’s “Paint it Black.” With the singer even having a Peter Gabriel-ish inflection in his voice, one could almost imagine Genesis performing this if their music revolved around rotting sores, matricide and summoning the spirit of Beezlebub, instead of Carpet Crawlers and Watchers of Skies. In fact, the second track “Let Your Devil Come Inside” even has a xylophone solo, which added plenty of needed charm to counter balance the imagery of killing one’s own mother while inside the womb. The biggest surprise for me though was the opening of “Into the Gates of Time.” The gentle plucking of an acoustic guitar, with the sinisterly lush orchestral backing of a mellotron, is so jarring in its tranquility that it jerks me into a happy place of sunshine and rainbows. This lasts but a few seconds before the rest of the band comes in with heavy psychedelic guitar and relentless drums shattering the harmony into oblivion. Right away I am whisked off through “the pale gates of time” to someplace not far removed from the Court of the Crimson King… only this place is far, far darker and less inviting. The song continues in a languid, hypnotic fashion, before morphing into this brief jazzey interlude, with a funky Weather Report-ish bass, that lasts oh so briefly. It’s the small moments that are like small slices of delight, to alleviate the relentlessness of “stepping into the darkest gates… amid the strings of time in the candelight”. And yet just when you think it’s over, the track continues with these amazing sounding moog-synthesizer effects amid the crashing instruments, and the song hasn’t even really taken off yet. More strange time signatures and polyrhythms occur, jerking you around until everything is engulfed in the nighttime sounds of crickets and cicadas, with the gentle strumming of a six string to send me peacefully off to sleep; my ears still ringing from the demented lullaby that just ensued. The last song has a funereal feel to it due to what sounds like a pipe organ, although it’s still a headbanger of a number where the band gets to namecheck themselves in the lyrics a few times. It acts as a nice resolution to the near forty minutes of utter mayhem that has transpired. It ends with the singer whispering “Hail spirit, spirit NOiiiiiir” in your ear a few extra times for effect, before it comes to a close, leaving you with the feeling that someone, somewhere, is busy slaughtering a lamb in a pentagram while listening to this same album. I consider myself a pretty level-headed individual, but the music certainly put the fear of the occult within me, which I guess means the band were successful in their objective. 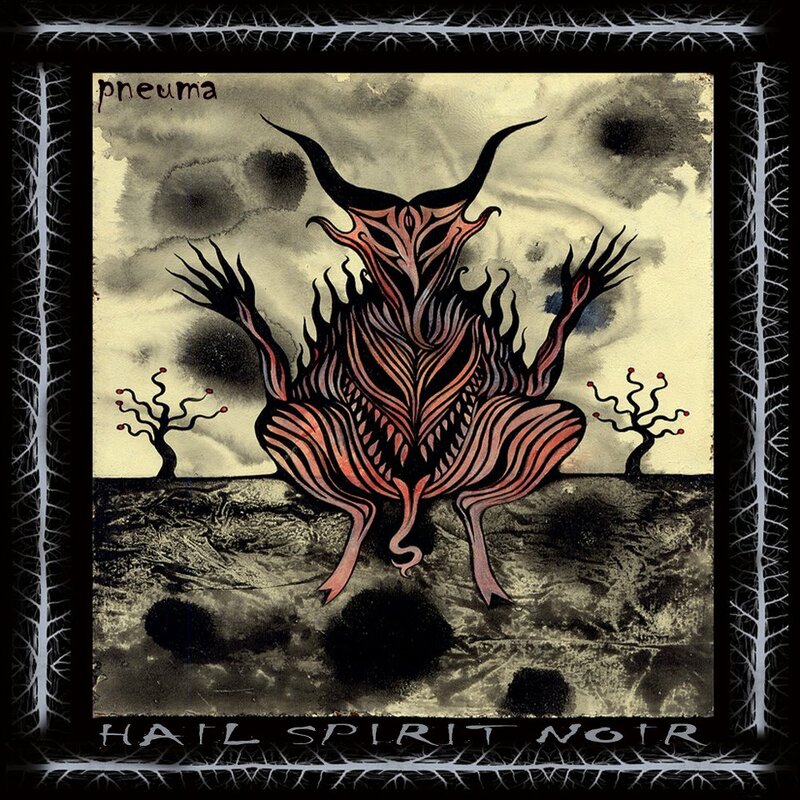 And that’s the story of my experience with Hail Spirit Noir’s Pneuma. I certainly got the impression that this group were seeking to do things with the genre that most other bands are too lame to even attempt. The variety in instruments, the technical skill and stylings of their playing, the sheer ballsiness of combining 70s avant-garde with no-holds-barred Satanism is what kept my interest for the relatively brief running time. It’s a real adrenaline rush of a record that leaves me feeling a little bit unclean and unholy, which means I couldn’t recommend this enough for black metal fans who are also interested in a bit more complexity. Now if you’ll excuse me, I’m going to listen to some Enya for a bit. By the time he left home in 1975, when I was seven, my brother Fred must have had about fifty rock albums. There are three categories: in the first are the albums of which I remember the cover and I remember liking the music (for example Relics, After the Goldrush and Full House). In the second the albums of which I remember the cover and I remember disliking the music (for example Tommy, Fragile and Okie). In the third are those of which I only remember the cover. 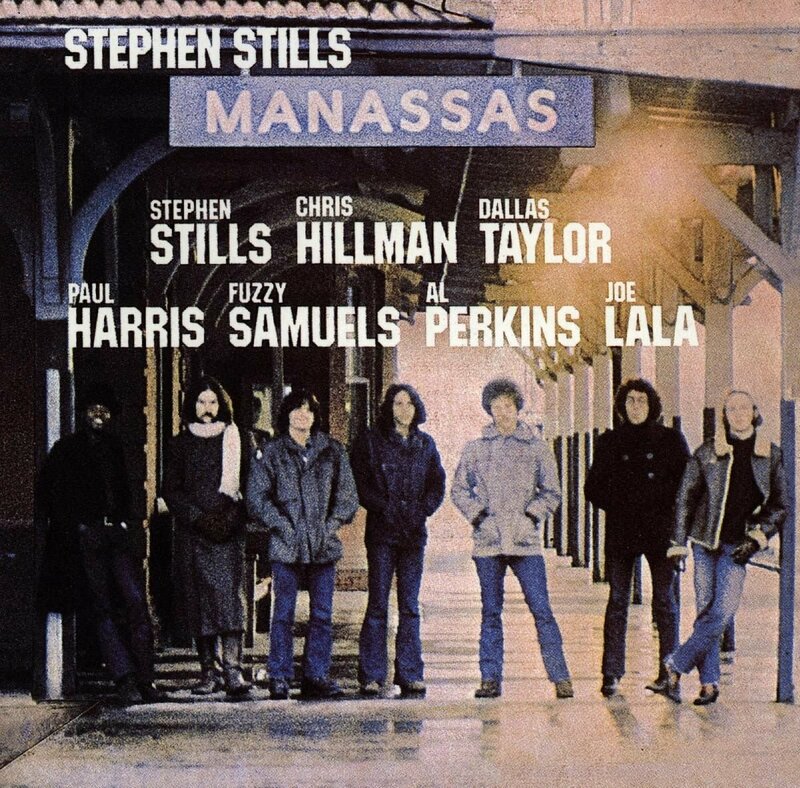 Stephen Stills Manassas is in the third. And it’s the only one in that category, now that I think of it. I must have been unimpressed with the music and impressed with the cover. I still think it has a very good cover. That’s one of the assets of the album; if you don’t like the music you can always hang it on your wall. It is that good. Manassas is very much a product of the early seventies when rock musicians operated under the general assumption that they had created, in Woodstock and Haight-Ashbury mainly but in other places as well, a revolution of peace and love. A chain of events that became known, simplified, as the sixties, or the Sexual Revolution or the Age of Aquarius. You know, man!.. Most, if not all, of the “rock music” in the seventies was inspired by those events. The inspiration could take the form of retreat, (Dylan becoming a family man and joyfully singing about the joy of bundles of joy and spreading the joy of country music) or the inspiration could be a counter reaction (anyone from Lou Reed to Bowie to Black Sabbath embracing Satan and sarcasm). And by the time Manassas came out some of the more intelligent rock stars had second thoughts about it (like John Lennon, Neil Young and Jackson Browne). But many rock musicians weren’t that perceptive and were not too modest to proclaim themselves the Gods of the new revolution and spread it’s euphoria through words and music. A euphoria that now, to my ears, sounds false and stale. And so it’s Post-Woodstock Euphoria that you are served on Manassas. And I do have the impression it is served at least routinely, almost against the will of the servers. Reluctantly. Because in spite of all the pomp and circumstance, all the professionalism and all the self congratulatory swagger I miss the spirit the sincerity and energy of rock and roll in most of the music on Manassas. And to be honest, I miss it in a lot of music from that era.There’s been a trade in; youthful exuberance for stale, routine euphoria. And self-importance. Manassas was an attempt of Stephen Stills to break away from the dependance on Crosby and Nash and finally Young. So he recruited a number of usual suspects of which Chris Hillman is the most wellknown. But it never really became a functioning unit because of various members joining all kinds of other timely outfits, not rarely with the already mentioned Young, Crosby and Nash in different constellations. It is fun reading up on the history of Manassas, I think they call it incestuous? So that’s my main impression of the album; that it sounds tired and it’s energy sounds second-handed and artificial. And in that it is symptomatic of a lot of classic rock. It is probably needless to say that I’m not a big fan of classic rock, so there you have it. But Manassas does have a lot of redeeming qualities. It is a double album of which side 1 (The Raven) and side 4 (Rock & Roll is Here to Stay) consist mainly of rock songs (sometimes more bluesy and sometimes a bit funky). Side 1 is arranged like a suite,with rapid transitions from one song to another so that you don’t get bored and almost fail to notice there are no actual songs. Side 4 offers no such pleasure; the songs sound obstipated and overlong. It closes with a bluesy acoustic solo song “Blues Man” on which Stills ruminates about the deaths of Al Wilson, Duane Allman and Jimi Hendrix. Unfortunately the song is unremarkable and it’s lyrics so bad that it’s truly an embarrassment. Both sides mentioned are at some points livened up by Latin percussion. Which is welcome. Now at least we know that Stills cut his own hair, quite unlike his fellow golden retriever Crosby who would rather die than do any such thing because he felt like he owed it someone, which explains why Stills looks better in photographs. And the moustache, or rather: absence thereof, of course. Where was I? Oh yes: redeeming qualities. There are six, apart from those already mentioned. Six splendid, yes fantastic country-rock songs on the second side of the album (“The Wilderness”). Oh, maybe five and a half, because I find “Don’t look at my shadow” a bit corny. But the other ones are really great, heartfelt and not mangled by rock star posturing. Of these the break-up song “So Begins the Task” is the best; easily one of the best songs I heard for months. Conclusion: Manassas is an album that’s seriously flawed by the stylistics of the era in which it was created and the position the creator had in that era. But it still has a lot going for it. And if you wish to demonstrate how country rock offered an escape from the deathtrap of rock goddism for rock stars in the early 70’s Manassas is extremely useful. & do listen to the Wilderness!